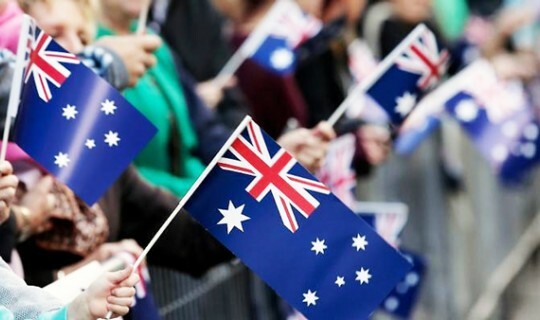 The Greek Community of Melbourne (GCM) in a letter to the Prime Minister of Australia expressed its deep concern regarding the proposed changes to Australia's citizenship laws. The President of the GCM Mr Bill Papastergiadis commented that «these changes go against the egalitarian nature of Australia’s multicultural society”. «The proposed English language test, in our opinion, is far too stringent and will exclude people from disadvantaged backgrounds from full participation in Australian society. The new language test will require a high level of English competency and has the potential of excluding many aspiring citizens hence creating potential inequalities and undermining the sense of belonging and connectivity to Australia. Nor can we see the reason for increasing the permanent residency requirement toÂ 4 years before obtaining citizenship. As you are aware the Greek financial crisis has resulted in a large wave of Greek immigrants to Australia, many of whom wish to make Australia their new home. They bring with them skills and enthusiasm which we believe will contribute to building an even better Australia. They do not differ in their commitment to this country, to those Greek and other migrants of the 50's and 60's who have made a tremendous contribution to the Australian way of life. It is our organisation’s belief that community consultation and input, with respect to the proposed changes, are necessary to ensure that any changes are fair and reasonable. The Greek Community of Melbourne as the peak Greek organisation in Melbourne with over 120 years of experience can more than adequately contribute in such debates. The letter was also sent to Hon Peter Dutton MP (Minister for Immigration and Border Protection) to Hon Bill Shorten MP (Leader of the Opposition) and to Senator Richard Di Natale (Leader of the Australian Greens).